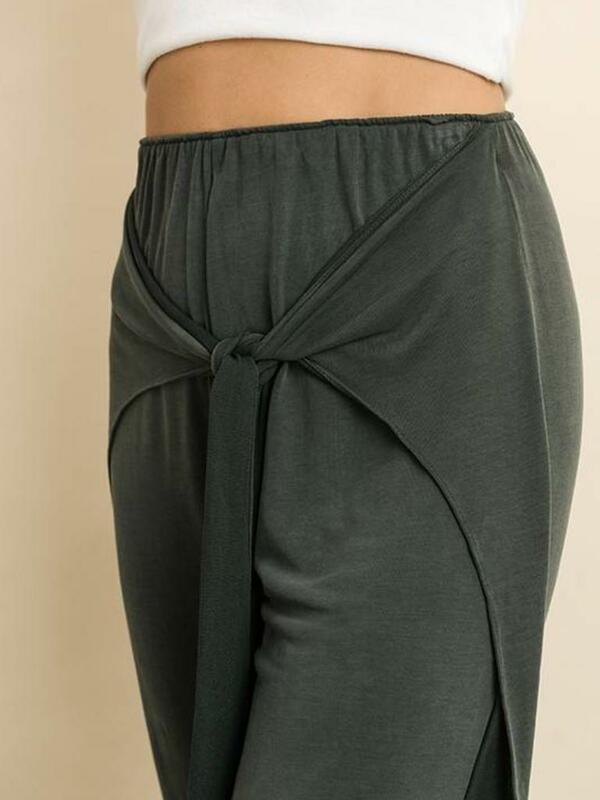 Soft, comfy pants featuring tie-front detail. Elastic waistband. 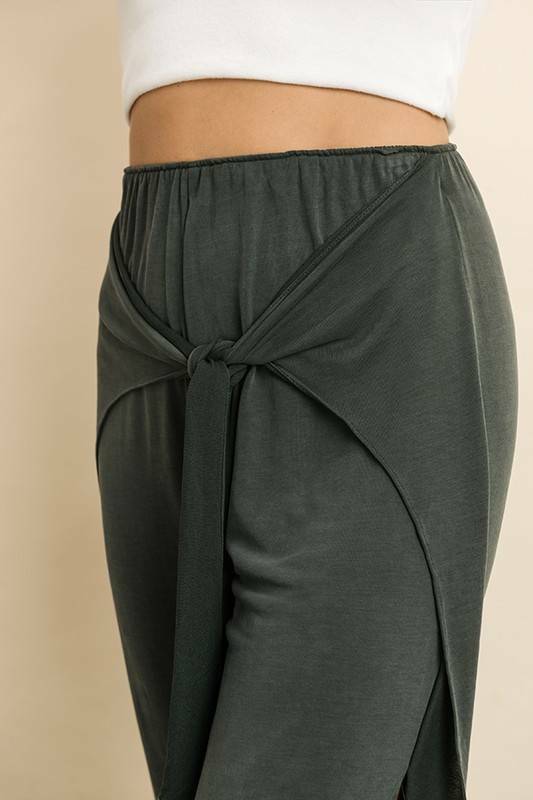 Model is 5'8'' and wearing size Small.